InSink plumbing provides installation, maintenance, and repair services for commercial electric water heaters, as well as gas water heaters. If you have an electric water heater that’s underperforming, we can fix it. If you need maintenance of your electric water heater, we can make sure that your heater is operating tip top. If you need a completely new water heater unit, our professional plumbers and technicians can get your water heater up and running. Installing your water heater is a snap with InSink Plumbing. 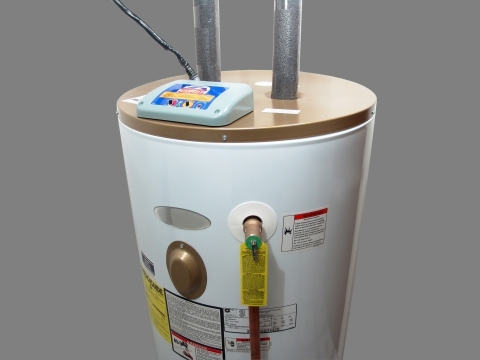 Our team of technicians and plumbers have experience with numerous brands of water heater units. With that experience comes speed and precision. We’ll install your water heater quickly and properly the first time. We understand that hot water is an integral part of your business. We’ll get you hot water in a jiff! Your water heater should be efficient and effective. If you’ve noted a hike in your bills, or if you’ve noticed a drop in your water temps, it’s time to call on InSink Plumbing. A water heater problem can cost you money. Also, call on us to inspect and maintain your water heater! Water heaters should inspected and maintained at least once per year depending on their utilization and condition. Again, InSink plumbing provides services for electric water heaters and other commercial water heaters. Get in touch with us today if you need water heater installation, maintenance, or repair. Or give us a call if you’re curious about our services.